Since our commencement, we are engaged in manufacturing, supplying, exporting and trading Electrical Duct Heaters for Air and Process Gases. 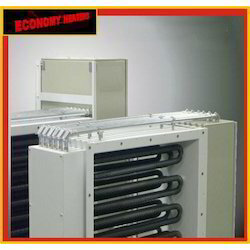 Applicable in dehumidification in central air-condition, our offered heaters are apt to be installed directly inside the fluid conduits. Suitable for very high flow rates and low pressure drops, we offer these heaters to our customers at industry leading prices.